See gorillas in their natural habitat is a once-in-a-lifetime experience. They’re both right, and equally understated. 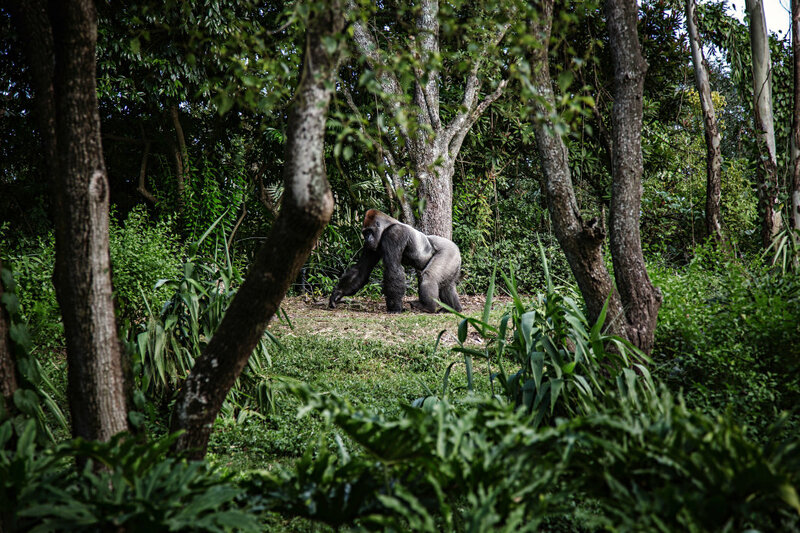 Spending time with the gorillas in their native habitat is an incredible experience. But that hike—although worth it—is more than just hard. It will likely be the most difficult hike you’ll ever do. If it’s any indication how hard it actually is, by the end of the first hour, my porter (the man I hired to carry my day pack) pulled me to the side. I had just taken yet another tumble into a huge puddle thanks to a slippery log. He was worried for me. He knew the trek was going to get much more difficult and wanted to make sure I was still ready for it. And we hadn’t even started to go uphill yet. Seriously, though. You definitely want to do this trek, so start planning now, keeping the below tips in mind. 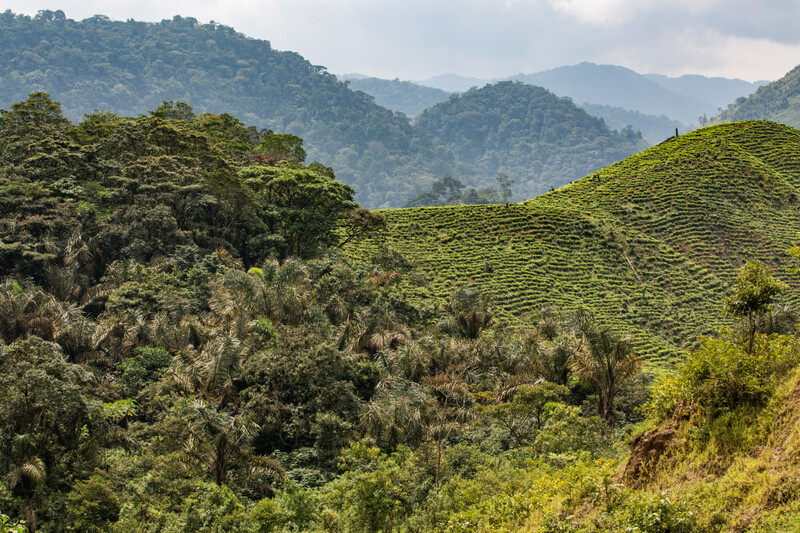 Bwindi is a rainforest, and that means rain—and a lot of it. Make it easier on yourself by going on the trek during the dry(ish) season, which is January and February or June through September. It will probably still rain, but maybe not the entire time you’re on the mountain. Plan at least a few months in advance, too: you have to apply for a $600 permit to see the gorillas. Your best bet is to organize everything through a safari company. They’ll be able to help navigate the process, get you to the park itself, and will likely have accommodations available. The footwear you choose is key. Pick a comfortable and sturdy pair of boots, and wear them for a while in advance to break them in. Rain boots might seem like a good idea, but you’ll spend more time yanking your feet out of the mud and nursing blisters than enjoying your surroundings. Get ready for a tough hike. For the love of everything, hire a porter. You cannot carry your things and do this trek. The porters themselves are former poachers who realized they’d go broke if all the gorillas were killed, and now they’re available to carry your things (water, lunch, cameras, extra clothes, etc.) on the hike for a fee. 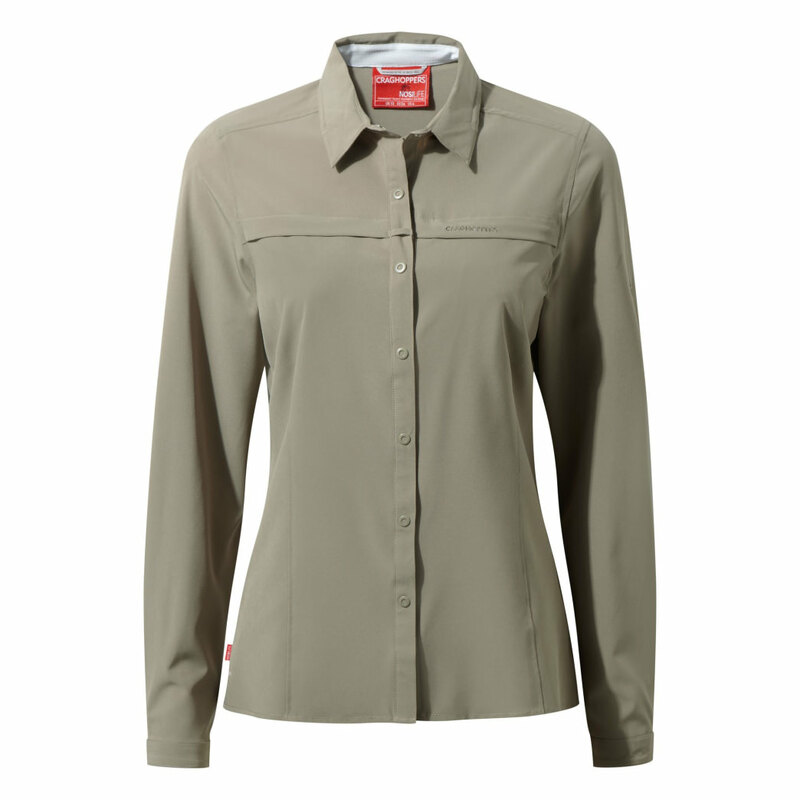 The Insect Shield Pro Long-Sleeved Shirt is perfect for a trek through the rainforest. Don’t forget: you’re in the rainforest. You will get completely soaked with sweat and rain, and end up covered in mud, even if it’s not the rainy season. Get a pair of hiking-friendly pants, ideally moisture-wicking ones with protection from both sun and bugs built in, like the NosiLifeZip-Off pants. They won’t chafe when it gets wet and they’ve got plenty of pockets for stashing things you don’t need the porters to carry. Wear a similar style shirt with long sleeves—stinging nettle is abundant in Bwindi, so you’ll need to protect your skin. No matter what you’ve been through on the hike, though, it’ll all be worth it once you get to the gorillas. 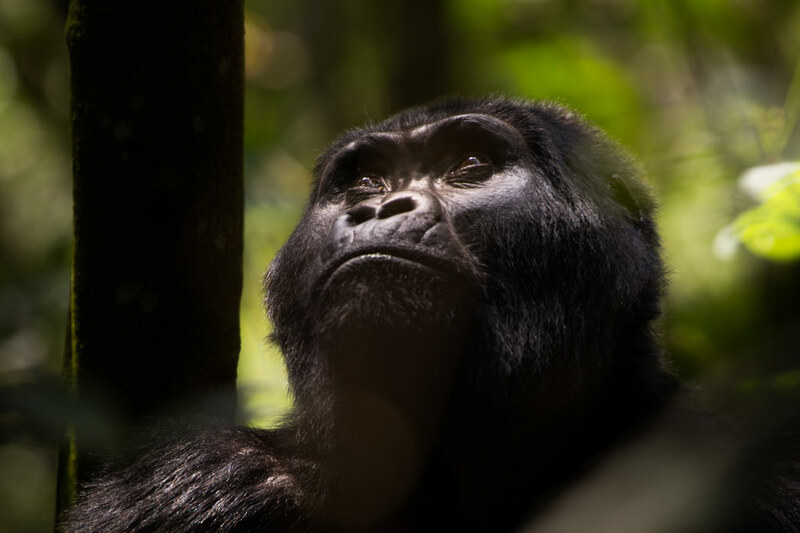 Throughout the trek, the trackers communicate with one another to find their exact location, and you’ll emerge from the thick rainforest into a clearing with an entire gorilla family. We saw the Bitukura family, 13 members strong. There, you get an hour to take photos and bask in the glow of the majestic animals, who are so habituated to humans that they truly don’t care you’re there. Bring a good camera to get the best shots—the babies move fast and you don’t want to miss it. Bring a good camera to get the best shots of the gorillas. Shortly after visiting with the gorillas, we started our trek back down along a fairly precarious ledge. My shaky legs and mud-caked boots were no match for the sloping drop next to us. I slipped, and thankfully three porters chased me and grabbed me before I fell too far. They pulled me back up and I stood there, trembling. A friend talked to me until I recovered and helped calm me down. Which brings us to one last tip: Go with friends. You’ll have more than just someone to share the experience with. You’ll have someone to talk you down from the ledge when you feel like you can’t continue—or in some cases, talk you back up. 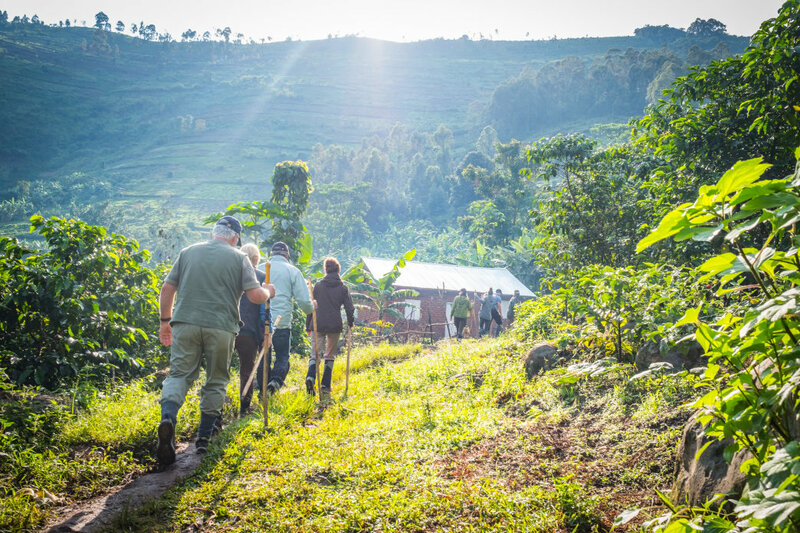 And when it’s all over, you can both brag about achieving a goal not many people do in their lifetime: conquering the Bwindi hike. Written by Jennifer Billock for RootsRated Media in partnership with Craghoppers.